JAN BABY - TB, Jack Worel 2018, 36", M-L, Blend. 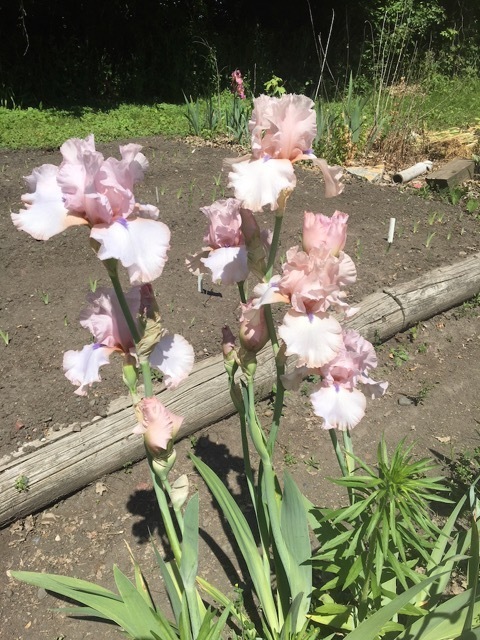 Named for Jack's wife Jan. Gently ruffled medium pink standards are darker at midrib with a slight blue infusion when opening above lighter pink falls with 1/4" darker pink edge and unique beard that is half medium orange and half blue-violet. Slight sweet and musky fragrance.